Happy Thanksgiving everyone!! This December, I will be performing at Abravanel Hall in Salt Lake City with Video Games Live. My first time in Utah, it's going to be a FANTASTIC show with the Utah Symphony. I am OBSCENELY excited to be performing with such an esteemed symphony, I hope everyone takes advantage of this amazing opportunity to hear one of the nation's greatest orchestras performing our favorite video game music. Treat yourself or your friends to an early Christmas gift and get tickets now while they're still available! 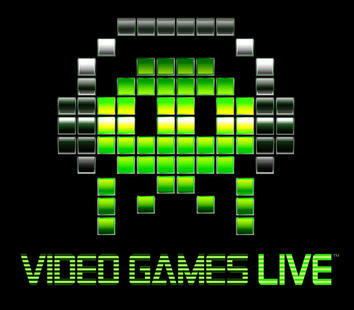 Check out videogameslive.com for ticket info as usual. Hope to see y'all there!! I hope everyone is having a wonderful fall! The VGL shows in Sioux City and Madison went GREAT, had a blast and met lots of new friends there! On break from VGL for a little over a month, so I'm taking advantage of the time to start updating my website and Facebook more often. Haven't written any articles for the blog in a while, so I hope you all enjoy the new post in the Blog about the use of solo piano in The Sims, as well as new transcriptions of The Sims' Building Mode 4, Dr. Mario's Fever and Sonic the Hedgehog's Marble Zone! Check them out on the Transcriptions page, more on the way! Lots of fun shows coming up! Video Games Live will be celebrating Halloween in style with a show in San Bernardino, California on October 29th, packed with several special guests, possibly in cosplay? !...Following that are two more awesome shows in Sioux City, Iowa on November 3rd and Madison, Wisconsin on November 5th. We have been adding in TONS of new material over the past few months, these shows will be packed with variety! Ticket information at videogameslive.com as usual. Hope to see you all there!! I had the honor of being contacted by Original-Gamer.com to do an interview with them a few weeks ago! This interview covers my past, how I got into video game music, Video Games Live, my favorite games, favorite songs I sing, the list goes on and on! A big thanks to Mike V from Original Gamer for doing the interview with me, it was great fun and their website is a fantastic source of articles about various aspects of video games and interviews with the amazingly talented leaders in the industry. I hope everyone enjoys the interview and checks out the plethora of awesome articles on Original Gamer! Video Games Live is returning to Nokia Theater in Los Angeles this year to celebrate its landmark 200th show! VGL has been a wonderful and crazy ride ever since I started almost exactly 2 years ago, and it's about to get crazier with this completely epic experience! This year's show during the E3 Convention will consist of almost completely brand-new material and never-before-seen special guests, conductors and performers from all over the world! I will be singing for several segments that I've never performed before, and for the first time I will be debuting a brand-new VGL segment! I COULD NOT BE MORE EXCITED IF I TRIED!! Check out the full story and ticket info at the official Video Games Live website here. Don't miss this epic concert experience of a lifetime!! I'm very excited to announce that I will be performing with Video Games Live for the Canadian Video Game Awards on May 18th! Fresh off of VGL's huge 16-show Canada tour, we'll be heading back to Vancouver in a few weeks to perform a short concert of VGL segments, to accompany the award ceremony to honor the Canadian video game industry. And the huge tour was certainly some huge fun! It was, in a word, AMAZING. We had unbelievably fantastic crowds and the shows themselves turned out wonderful--it was an honor and a pleasure to be sharing the stage with Martin Leung for the first time, and even get to play a short duet with him in Winnipeg! I also got to do some sightseeing: checked out Stanley Park in Vancouver, shop in Montreal, and all in all have a completely awesome time touring with the VGL crew. I miss Canada already and look forward to visiting that beautiful country again for the CVA show, even just for a few days :-) In the meantime, check out these great reviews from the Canada Tour 2011! Here it is, the absolute epicness! : Video Games Live will be performing 16 shows across Canada, starting with Vancouver on April 13th and ending in Kingston on May 3rd. A full list of the tour dates, cities and ticket information can be found at videogameslive.com. We'll be performing lots of awesome new material, including a brand new piece I will be singing for the first time in Vancouver :-D I am super excited for this tour and can't wait to make lots of new friends in beautiful Canada, which I will be visiting for the first time ever! Hope to see you all there, it's gonna be one craaaaaaazy ride!! Video Games Live is coming to the Mesa Arts Center this Thursday at 7:30pm! My first time ever visiting Arizona, can't wait to make lots of new friends there! Ticket information at http://www.videogameslive.com. I haven't performed with VGL in over month, so I'm really looking forward to it! :-) Hope to see y'all there! BIG NEWS!!!! One of my lifelong dreams has officially come true: I've made my debut as a performer on a video game soundtrack! I will appear as a featured solo flutist in the soundtrack of the Konami side-scrolling shooter Otomedius Excellent, which will be released in Japan on April 21st, 2011 for XBOX 360. The game will be released in the United States later this year, with the soundtrack available as an additional downloadable pack through XBOX Live Arcade. Otomedius Excellent is the latest installment in the Otomedius series, and the first game of this franchise to be released in the United States! With Metal Gear Solid composer Norihiko Hibino at the helm as lead composer, the soundtrack of this game is an international collaboration of artists all over the world from the U.S. to China to Japan. Hibino-san and I became good friends through Video Games Live, and was such a tremendous honor to get to perform for one of his projects. The track I will appear on was composed by none other Castlevania’s Michiru Yamane! American composer Justin Lassen was also involved in the soundtrack, and includes a list of all the composers for this game on his website, plus the trailer and some gameplay footage. Rabbit rabbit everyone! Hope everyone's March is off to a great start! ;-) Okay, so these are the last Mario pieces I'm doing for a while, I promise!! I WILL branch out and do different games!! :-P But this week, it's all about the the Yosh'. Four arrangements on the Arrangements page for Yoshi's Story's Baby Bowser's Lullaby and Love Is in the Air, Super Mario Kart's Star Power and Super Mario World 2: Yoshi Island's Flower Garden. Plus, a post in the Blog about musical quotations in Yoshi's Story. VGL: Ft. Wayne coming up this week, hope to see you there!! Another VGL show coming up soon! I will be performing at the show in Ft. Wayne, Indiana on March 4th. The concert is being held at the Embassy Theater at 8pm; as per usual, check out ticket information at http://videogameslive.com. Can't wait to get back to performing! Hope to meet lots of new friends in Fort Wayne! Inspired by my complete and utter addiction to Super Mario Galaxy these past few weeks: four new pieces for the Arrangements page and a post in the Blog! This week, we look at a VERY cool interview transcript with the sound team of Super Mario Galaxy, where they talk about the Essence of Mario and how they achieved that sound. Enjoy the new arrangements for Bunnies, Power Star, Sad Story and Space Junk Galaxy! Many more on the way! Getting ready to leave for Seattle tomorrow, but before I do: four new transcriptions for the Arrangements page! Plus a post in the blog, talking about nostalgia and the Vampire Killer theme. Enjoy the new arrangements for Castlevania's Out of Time, II's Bloody Tears, III's Deja Vu and Dive Man from Mega Man IV! More on the way! Three new pieces on the Arrangements page and a BIG post in the Blog on the music of Super Mario Kart! The topic this time: Latin dance influences! Nothing gets you go-karting like some good ol' Latin dance, who knew?! Had a lot of fun doing the research on this one, I hope you enjoy! Enjoy the new arrangements for Choco Island, Luigi's Theme and Princess Toadstool's Theme. More on the way! I will be performing with VGL for three shows in January! The first show is tonight in Minneapolis, Minnesota at Orchestra Hall; next is Seattle, Washington on January 22nd. And then to round it all off, I will be performing my first ever VGL show on Long Island! VGL: Brookville on January 29th will be a very special show to me, held on the island where I've grown up and lived my whole life--can't wait to perform for all my fellow Long Islanders!! Hope everyone can make it out to a show this January! As usual, check out videogameslive.com for ticket information.